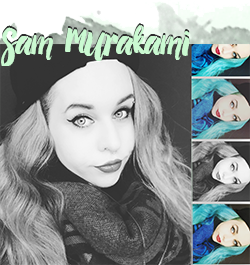 I am so sorry for the radio-silence on my blog, I still have to get back to a lot of your comments, forgive me! I was way more busy in Japan than I though (ha.... who am I kidding I knew exactly what I was getting myself into.) I hope you all had a very nice transition into the new year? Pachi and I have been very relaxed about it, just doing some karaoke, enjoying our favorite food Okonomiyaki and of course taking purikura. We clinked some sparkling wine at midnight and celebrated the new year by watching anime and playing pokemon together. I am honestly not understanding the urge to have the biggest and best night of your life, so I'm not forcing it anymore. Today we went shopping (more on that on a huge Japan haul post soon!) and tomorrow we'll go to a concert in Shibyua from our favorite Japanese band, Merry. It will also be my last day in Japan as I'll already leave on the 3rd January and go back to Korea. Time has flown! Short before I left for my trip to Japan, I was doing some Christmas shopping for some of my Korean friends and (not-so-Korean) family! I went to Myeongdong, which is the shopping district in Seoul, especially if you want to get some cosmetic goodies. 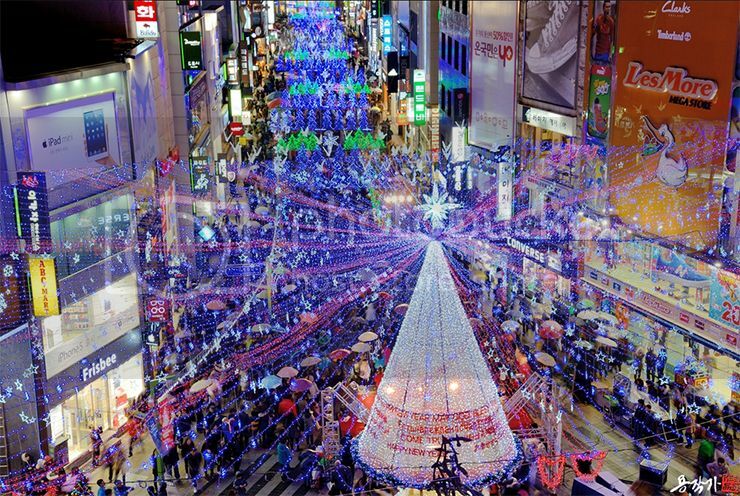 If you can avoid it, I wouldn't recommend to go to Myeongdong short before Christmas, especially the evening. Everything was crowded with Chinese and Taiwanese tourists who went on a short trip to nearby Korea to stock up on their cosmetics and get presents for their loved ones. I personally don't mind the crowdedness at it allows me to browse the store without getting assassinated by the staff. :D But now that I learned that "Thanks, I'm just looking around" means in Korean it has made a whole difference to my personal shopping experience as most staff doesn't stalk me through the whole store. (If you are ever in the need of it, it's: 그냥, 구경만이예요. Keu-nyang, kugyong man ieyo.) BTW, I just got the idea that I could totally compile a shopping guide for Seoul with a small "good to know vocabulary" part... not sure if anyone would be interested in that..? 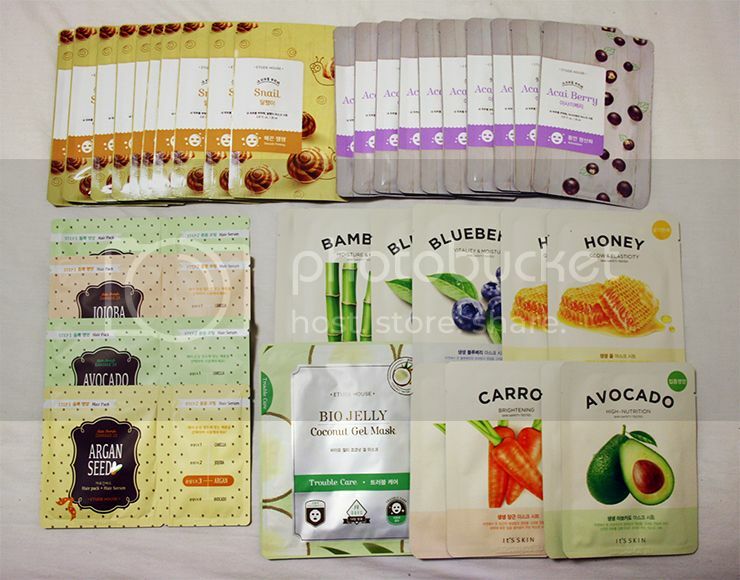 10+10 deal on every single facemask at Etude House: I grabbed the very last snail package together with Acai Berry because you can never have enough antioxidants in your skincare routine! Also, It's Skin had a 5+5 deal on their facemasks so I chose 2 of each. I especially love Blueberry, Carrot and Honey from this line :) The Bio Jelly Coconut Gel Mask from Etude House wasn't on sale but I wanted to try it anyways. Unfortunately, it was quite disappointing and didn't do much for me on any level :( I also got some hair treatments from Etude House with Jojoba, Avocado and Argan Seed Oil. All of these are presents for my loved ones and I only kept a few of these. Also, Missha had a 50% off of everything deal for three weeks in December! 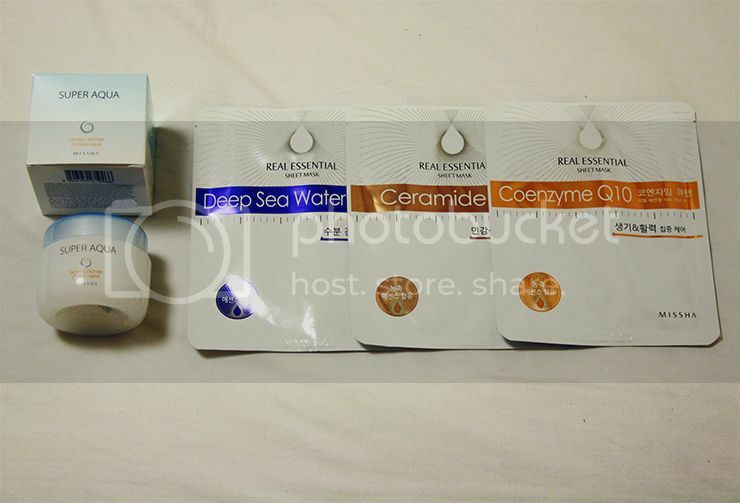 I got the Double Enzyme Oxygen Mask that I was lusting for forever (but couldn't find anywhere) and some sheet masks which will also be finding new homes as presents. Besides skincare, I got a tiny little bit carried away and got also some new clothes. I try to not buy a lot as I am leaving next month already, but oh. It's SO cold in Seoul. Average of -15°C with lots of harsh wind, even colder in the night, it's really really cold. So I got some things that will help me survive the cold - I was dying every single day that I had to go outside; no exaggeration. I basically needed those things to not freeze to death within seconds. Jepp. ....the coat needs to be worn with different shoes obviously. It looks kickass with my black slim boots that I wear most of the time. I was looking for a floor-lenght code for forever! Also, ear muffs. Did I mention the icy cold winds in Seoul? My ears hurt after being outside for like 10 minutes so when I found these cool muffs with robots and dark blue fur I needed to have them! They were quite cheap too, the stands outside the stores are usually having much better deals than inside. I also got this cute little head piece to wash my face as my hair is a tiny bit too short now for a ponytail. And socks. 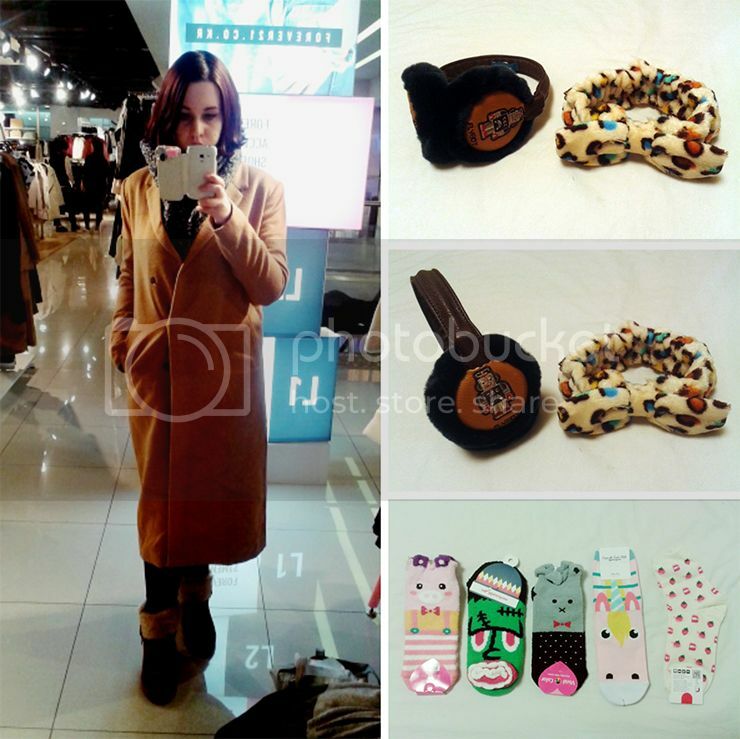 Seoul is sock-heaven! They have supercute socks in all forms and varieties for usually 1$/pair. Aaaand this faux fur monster of a muffler. Wow, That is the most huge and most fluffy muffler I ever owned! It was love at first sight. I am wearing it every single day since then. I will probably get a second one in black too, because, you know, it's pretty cold in Berlin too when I come back. Did I mention how fluffy it is? So incredibly fluffy. 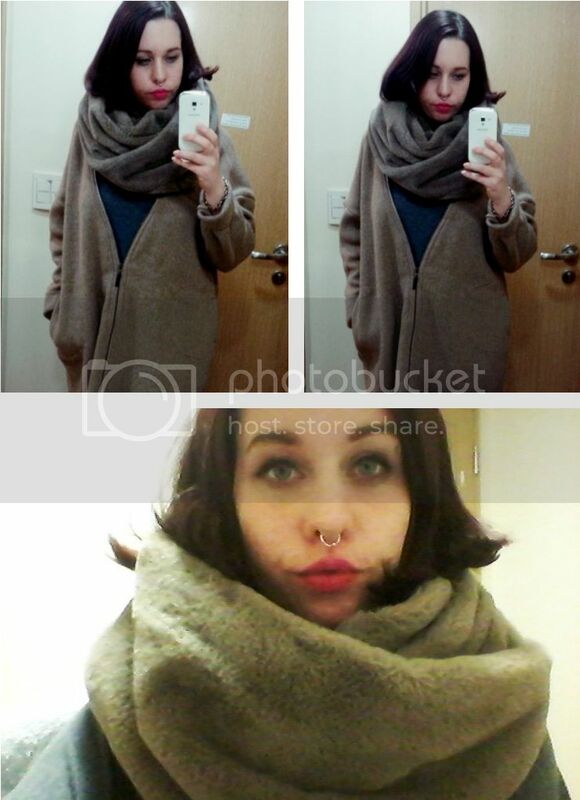 Also, in order to survive the cold in my long coat I got this super cheap very thick + warm brown cardigan. For 19,000 instead of 49,000 Won it really was a steal. It's too warm for Japan right now but I know I will love this in Seoul and Berlin :) Sorry for crappy phone pictures.... I will get a new phone next month! With how well developed the smartphones are these days I probably don't have to carry my heavy camera along everytime which is a relief.